this painting is one of my autumn series. in high impasto and with a vivid palette, it evokes the energy of the season. the image is derived from a scene i witnessed above keene valley on a dark and stormy day with breaks of sun. i thought of doing a before and after painting because after the storm the leaves were gone. this piece is one of a series of small paintings i did this summer on slate. priced to sell mainly for the tourist market. they were on display at adirondack trails in bolton landing. i did a dozen or so and have only two left. reasonably priced at $100; i also did some name plates for a couple of customers with an adirondack motif background. i’m open to doing more of these if there is interest. 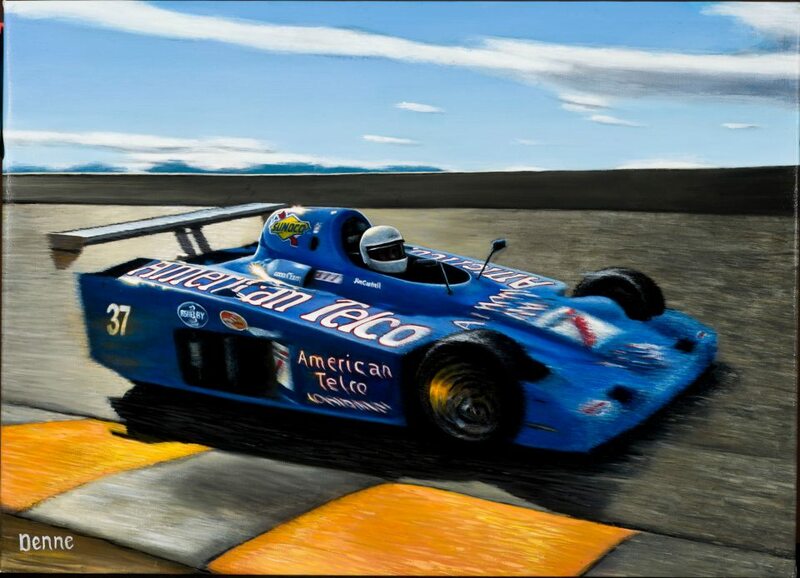 this piece is the second in a series of automotive paintings commissioned by jim cantrell of team raptor and vintage exotics competition engineering in phoenix AZ. a Corvette; it is a GT-1 class running at le mans. It also ran IMSA GTO back in the day. the painting is derived from a photo which is quite dark and blurred. i sharpened and brightened the image and after much research even uncovered the advertising in the background, which is distorted beyond recognition in the photo. 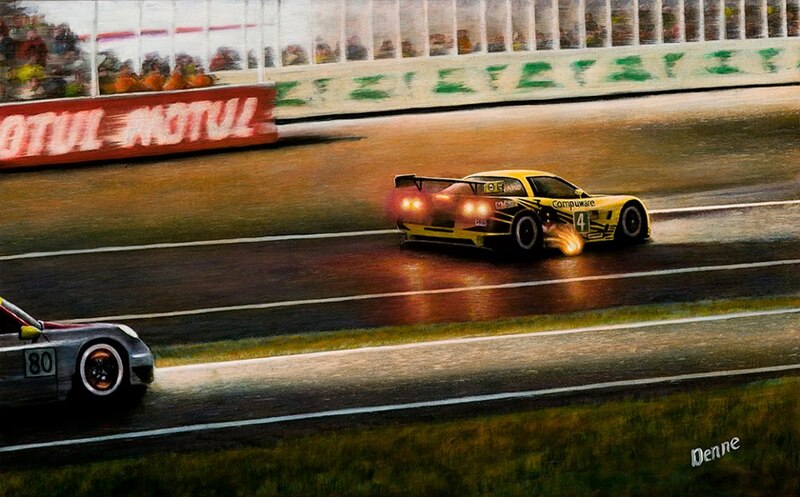 the painting has a great ambience and captures some of the change of speed the car (and viewer) experience through the final chicane. for this series i am keeping the surface fairly flat, with texture implied and impasto (which i enjoy using in most of my other work) kept to a minimum.